Most of my posts contain affiliate links where I get a small percentage of the sale at no additional cost to you when you purchase something through a link. Thank you for starting your shopping here at Books, Bargains, Blessings. 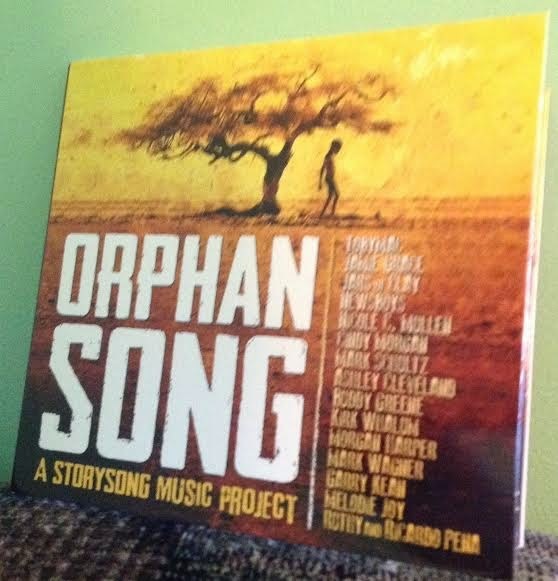 I received a free Orphan Song CD from Family Christian to help facilitate this blog post. Recently, I received the CD Orphan Song from Family Christian. Would you believe this is a great CD that is only $5. What is so great about it? Well, I'm glad you asked! It has fifteen songs on it from artists like Newsboys, Jars of Clay, and Nicole Mullen. (My Shepherd by Nicole Mullen is my favorite on this album! This is a great song with a very applicable message with a very catchy tune) This compilation album was produced by David Mullin. This is a StorySong CD. That means you can listen to the music, share the music, and your purchase empowers those who are less fortunate. The purchase of this CD helps orphans in Africa go to school -- sometimes they even need housing. It says on the back of this CD "Help us build a better story for the world". One thing that struck me about this album was the photo inside the cover. There is a teenage girl smiling and the biology book in front of her is in such bad shape schools in the United States would replace the book. Yet to her it is a blessing. You can buy Orphan Song at FamilyChristian.com or in store. I also have a giveaway for a $10 Family Christian Appreciation Certificate going on currently. Be sure and enter, and this is one of the items you might decide to buy if you are a winner.